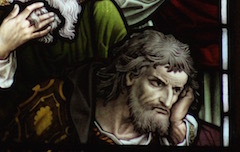 The maltitude of faces from the windows and monuments in the Abbey look down on us every Sunday. Have you ever looked back? 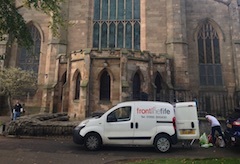 This Sunday (27th) the Abbey Youth Group will once again be collecting non-perishable foods on behalf of Frontline Fife. 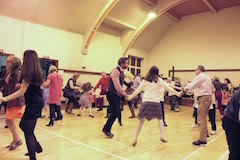 This years Family Ceilidh was held on Saturday. A great time was had by all with the music provided by the Crossword Ceilidh Band. All proceeds will be donated to the STV Childrens Appeal this year. Read more"Who do you say that I am?" Read more"Family Ceilidh and STV Appeal"
“Who’s in? 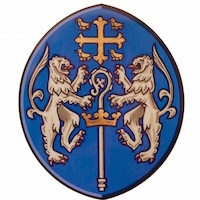 Who’s out?”- The sermon preached at the 11am Service at Dunfermline Abbey on Sunday 6th September 2015 by the Assistant Minister, Dr Jean Kirkwood. Read more"Who’s in? Who’s out?"